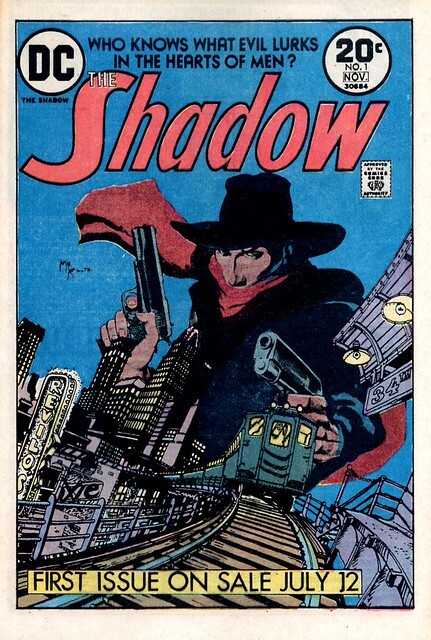 I am sure all Silver Age fans remember Kaluta's famous 1973 cover to The Shadow #1. I always found the texture and shading on that piece to be different than any other cover I had seen up to that point. 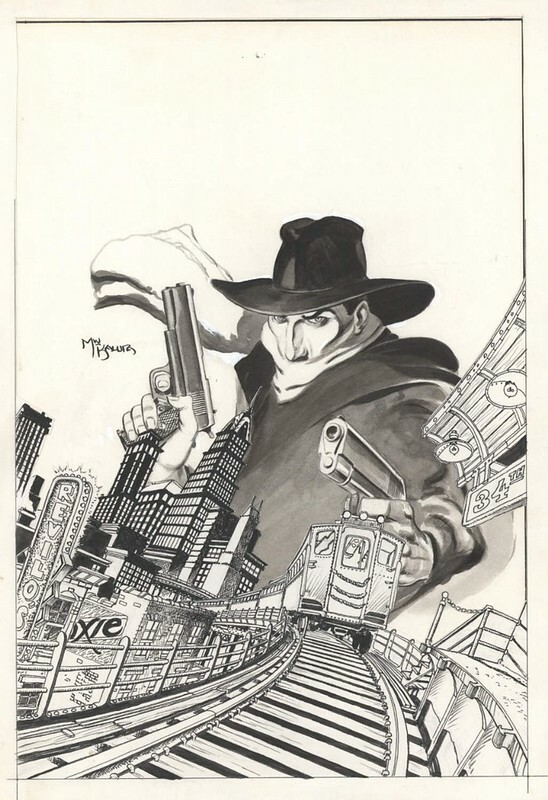 The original cover art to this piece, which looks even better in black and white than full color! The Shadow is rendered with tones, a grey ink wash perhaps? The train and city skyline draw your attention to the figure in the center. Here is a DC house ad from House of Mystery 217, announcing the forthcoming arrival of The Shadow in July 1973. Doc Savage was already being published by Marvel and Steranko had brought these pulp heroes back into the spotlight from his History of Comics. Nuff Said!